The Beauty and Skincare Clinic in Lagos, Nigeria | In a relationship with Fillers! – What are they? In a relationship with Fillers! – What are they? 06 Jul In a relationship with Fillers! – What are they? eventually absorbed by the skin. What is this Hyaluronic Acid, we hear you ask? the skin. It volumizes, softens, and hydrates the skin. Who started this filler craze?? correction of fine lines and shallow scars, and face contouring. filler treatment is common for people (men and women inclusively) between 20s and late 80s. And most of the basic concerns of people are often smile lines and hollow eyes. What are your facial concerns? Ever considered this treatment? 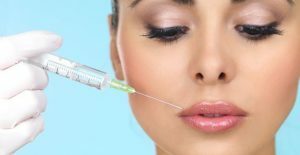 We think fillers, when done properly are great! Come in for a consult to know which filler treatment would be best for you!